One of my biggest gripes with the Civilization series – and historical strategy games in general – is that it tells the story of empires as a non-stop progression from good to better. Unless you get conquered by another player you are always moving onward and upward in technology, productivity, and prestige. But all great empires also face decline. 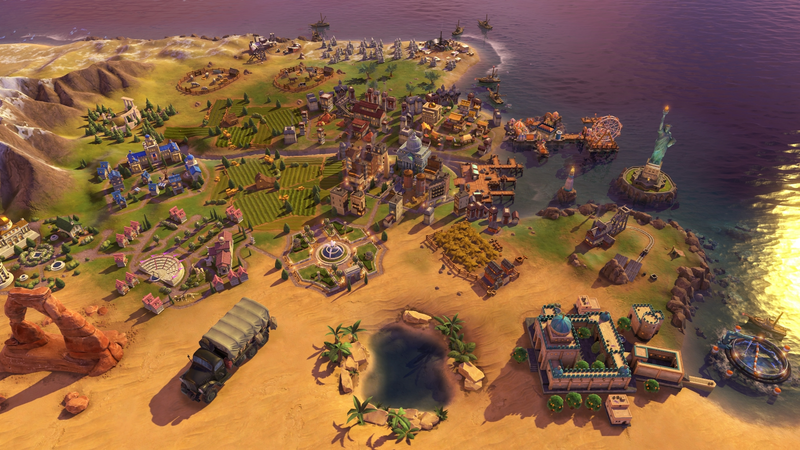 With Civilization VI: Rise and Fall, Firaxis have at last set out to model this. While the expansion did not always give me the harrowing feeling of the Fall of Rome narrative I was hoping for, it does add an interesting ebb and flow to proceedings. Each civilisation now accumulates Era Score based on accomplishments and discoveries with the goal of reaching a certain threshold before the world progresses to the next global era. If you fall short of that threshold then you enter a Dark Age, the map colours desaturating, the music taking on a sombre tone. Exceeding the threshold by a certain amount, on the other hand, can earn you a Golden Age, which casts the game world in a heavenly glow and causes your civ’s theme tune to swell. These audiovisual touches really help to sell the fantasy of facing a time of plenty or a time of tribulation, but the underlying mechanics are not quite as impactful. The primary difference between a Dark Age and a Golden Age ties into the new Loyalty system, which can cause your cities to rebel and become Free Cities. This is a new type of minor power that can either be conquered or brought into the fold by raising the city’s loyalty – including by civs that are not the original owner. This brings back, in some form, the concept of ‘culture flipping’ cities we last saw in Civ IV, which I was happy to see. Being in a Dark Age causes the loyalty of your cities to wane, whereas Golden Ages make their devotion nearly unassailable. The issue I kept running into, though, is that Dark Ages are simply a lot more fun. 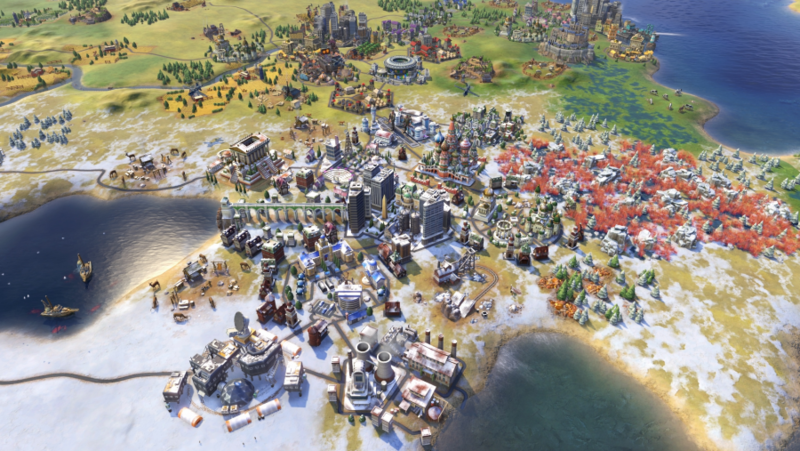 Having to bolster the crumbling edges of a fraying empire using tools like the new Governor system adds an extra layer of challenge and strategy to Civ VI. I almost wished I could stay in the Dark Ages forever. Being in a Dark Age also unlocks Dark Age policy cards that each present you with a double-edged sword – such as Isolationism, which grants bonuses to domestic trade routes at the expense of not being able to found new cities. Having to make a tough choice about what aspect of my civilisation to preserve while allowing another to rot on the vine was always tense and thought-provoking, and Civ VI could use more mechanics like it. Golden Ages, on the other hand, can often feel like turning the Loyalty system off, making one of the major expansion features fade into the background. The exception to this is if you happen to be bordering another civ that is doing a particularly bad job of managing their own Loyalty. In one campaign, I stole three cities from France without firing a shot because the inhabitants of Normandy decided they would much rather be Scottish. I mean, can you blame them? That was an exception, however. Typically, the only thing I noticed about being in a Golden Age was the change in colour balance. I almost wished I could stay in the Dark Ages forever. Governors were my new best friends when Loyalty did start to falter. You can recruit seven in total and each come with a distinct personality and theme. The Castellan focuses on making your border towns nearly unassailable, while the Diplomat can exert pressure on nearby cities of other civs to erode their Loyalty and let you get a little bit aggressive with targeted city-flipping. Since you can only have one Governor of each type, and civs with more than seven cities will have to leave some without a Governor, I was often juggling them around to create the optimal arrangement – a process that synergises well with Civ VI’s focus on min-maxing tile usage. They can also open up entirely new playstyles. One Governor gives you access to a unique Fishery improvement that can be built on coastal sea tiles even if there is no resource to build fishing boats on. You can then spam this to create a massive food surplus in what would otherwise be sleepy, destitute coastal and island villages. Rise and Fall also introduces a Crisis system that can cause a number of civs to band together to take on a larger threat. The most dramatic example of this I witnessed was an impromptu alliance that formed after I was the first to deploy a nuclear weapon. Unfortunately, the coalition’s efforts often seemed half-hearted and disorganised in a manner consistent with the underwhelming military AI in Civ VI. In one game – in which my going door-to-door to to chat with my neighbours about the Great Jaguar God got on some people’s nerves – an emergency triggered to reclaim a Holy City of another religion I had converted. I stationed some apostles nearby to prepare for rousing lighting-bolt-throwing… but none of the coalition members ever showed up. I had the most fun with emergencies when I was on the coalition side, largely because my allies did not really bother trying to stop the target so it felt like the fate of the world rested on me. Is Civ 6 growing a little stale? Spice things up with a few mods. We’ve assembled the best efforts of Civ 6 community into a long unravelling papyrus of a list. 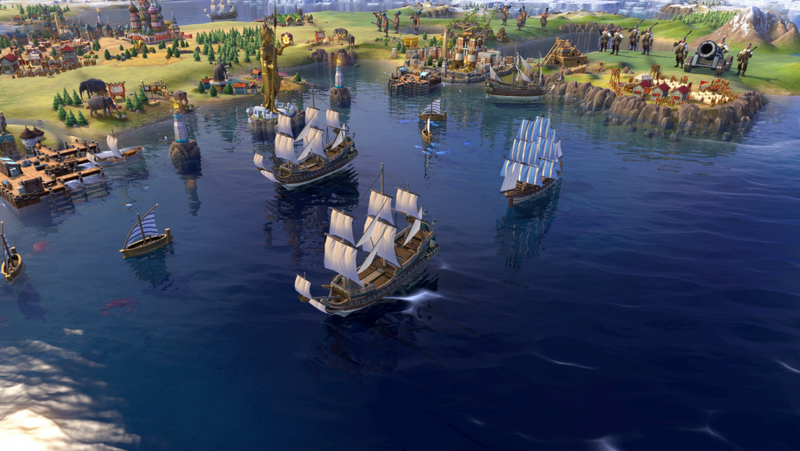 All of the mods here are compatible with the Rise & Fall expansion pack, so no matter how invested you are in Civ, all of these mods will work just right. The new civs introduced in the expansion include some of my favourites so far. The Cree can grab tiles using trade routes – which reminds me of the brilliant Shoshone in Civ V – and get a highly mobile early-game scout that can be used to the exclusion of regular warriors. The Dutch have the ability to build polders on coastal tiles adjacent to land, offering even more options to make coastal areas as productive as possible. The Mapuche might be my favourite of all. They feel like the franchise’s first guerilla warfare civ, with an ability that degrades the Loyalty of an enemy city when you win battles in close proximity to it. And the Mongols are… well, they are exactly what you would expect from the Mongols, offering you the chance to rapidly conquer the world with a horde of angry horsemen. There are a couple other small features that did not make much of an impact on me. A visual timeline of your civ’s major accomplishments will now pop up when you do something cool, like discover a natural wonder or recruit your unique unit for the first time. It adds a bit of flavour, but nothing groundbreaking. The alliance system has also been reworked with several types of alliances giving different bonuses – Religious alliances give both partners Faith from mutual trade routes, Military alliances give bonuses to unit production when both partners are at war with the same enemy, and so on. The more I tried to get my head around it, though, the more it felt like adding extra layers of complexity to what used to be a fairly intuitive mechanic for not much payoff. 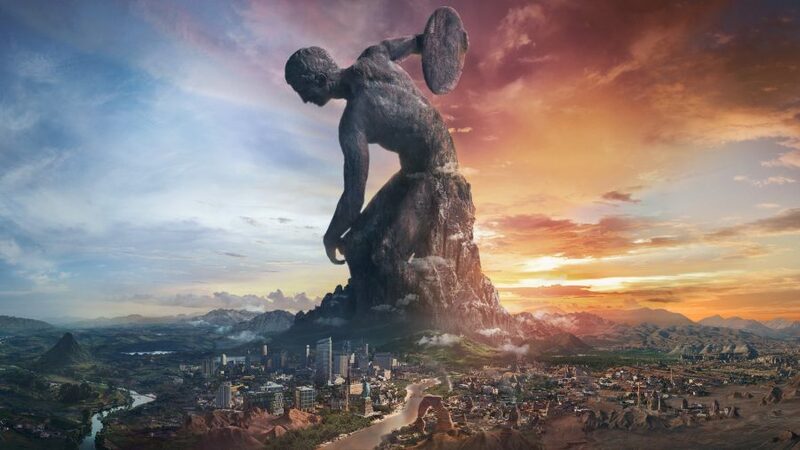 Civ VI is undoubtedly a better game with the addition of Rise and Fall – especially when you are struggling to hold everything together through a Dark Age. However, I do not think this expansion brings it to a place where all of its core ideas have really gelled yet. It feels like we are in the same place we found ourselves after the release of Civ V: Gods & Kings. Firaxis are on the right track, but there is still a lot of room for improvement. It represents a positive step forward and makes a respectable attempt to abstract the natural ups and downs that have faced every great civilisation in history – an aspect rarely modeled in strategy games. It may not be a new Golden Age for the series, but Civ V took two expansions to really come into its own, and the overall direction of Rise and Fall has me feeling optimistic. 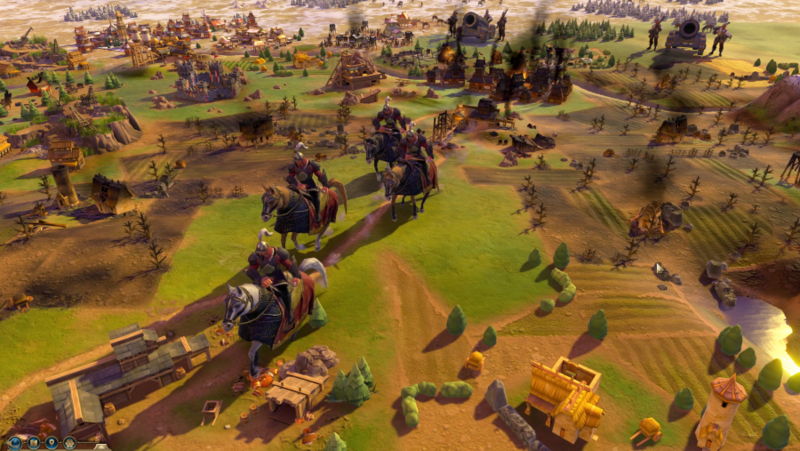 Civ's first expansion adds systems and tools that make the game better but Firaxis hasn't managed to make them seamlessly gel. It's a good start, though, and future expansions may smooth its rough edges.